There’s also Athonet, an Italian tlc company, behind Malawi’s first Lte broadband wireless network – a state of the art infrastructure that was built in record time and minimizing costs. Access, a mobile operator in Malawi, approached the Italian provider of software-based mobile infrastructure Athonet with the challenge to implement an Lte network, the first in the country, in a matter of weeks to enable Access to launch its latest generation broadband wireless service. The network had to be scalable, very cost-efficient, It-friendly and simple to integrate with Access’ existing infrastructure. Leveraging its future-proof Primo Lte Virtual Enhanced Packet Core (EPC), Athonet delivered the complete mobile infrastructure that enabled Access to provide the first Lte service in Malawi in record time. In a country with a very low rate of Internet access and where broadband is rare, such an innovative mobile broadband service contains great promises and represents an excellent case study to be replicated in other countries as a remedy for digital divide complexities. Leveraging Athonet’s technology, an Lte ultra-broadband network was implemented covering Blantyre’s business district, ensuring data, live video and voice services with very low latency. The initial service offering has been oriented towards clients that require high-speed Internet access and voice services, evolving to cover larger areas of the country and consumer needs. “Provision of cost effective scalable data and voice services by the telecommunications sector is directly linked to increased Gdp”, says Faizal Okhai, Chief executive officer at Access. “We feel that the introduction of 4G Lte services in Malawi will serve a latent demand for high quality ultra-broadband Internet for corporate and individual consumers”. Athonet was founded by Karim El Malki (today Ceo of the company) and Gianluca Verin (Cto), who are both highly experienced in Ip-based mobile networks. Athonet has created a unique compact, cost-effective and transportable Mobile Core solution for Lte/Umts/WiFi networks dedicated to serving mobile operators, professional users, public safety, large enterprises, campuses and MVNOs. 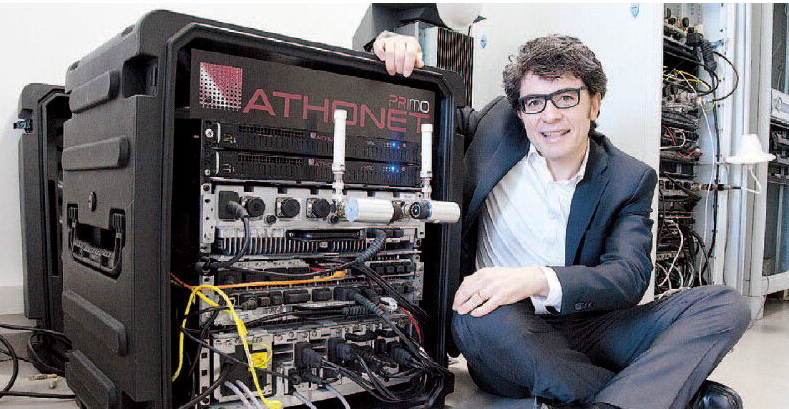 Athonet’s product, Primo, has been fully built in-house and Athonet’s founders El Malki and Verin were jointly awarded a medal by the President of the Italian Republic in 2012 for the deployment of the Primo system for emergency communications in the earthquake struck areas of Northern Italy. Athonet develops its entire software solution in Italy and has its offices inside the Area Science Park (in the city of Trieste) and in Vicenza. Area Science Park is a science and technology park dedicated to research, development and innovation; it provides flexible solutions for tenancies, structures, instruments and support services for the development of activities based on knowledge and technology.